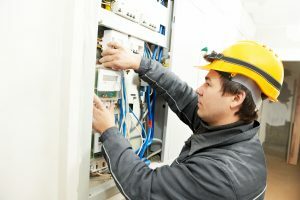 Pokolbin, Branxton & Newcastle Electrical is your team of well-trained and licensed professionals dedicated to providing all your electrical installation and repair needs. We are a company that puts value in quality customer service as we ensure timeliness and cost effectiveness in everything we do. Learn more about our services and find out why we are one of the most trusted electricians in the area. The way we care for our clients does not only transpire when electrical problems arise. You can rely on our skilled electricians from installations, maintenance, repairs, regular check-ups, and everything in between. Whether it is commercial or domestic electrical, PBN Electrical is the one for the job. Our expertise and experience through the years is the reason why people in the Hunter region trust their homes and businesses in our hands. There is no more need to worry about the safety of your loved ones as we do our work with utmost care and precision. KEEP YOUR LOVED ONES SAFE AS WE TAKE CARE OF THE ELECTRIC SYSTEM OF YOUR HOME OR BUSINESS. A small defect in your electrical wires can cause serious damage and accidents. PBN Electrical is the right company that would look into every detail of your electric system and make sure everything is in place. Our team is assured to give their best from planning to execution. Each job is important, no matter how big or small the problem is. We value our craftsmanship just as much as we value our customers. Contact us today so we could talk about how PBN Electrical can help you. You can call us for an inspection and assessment and we will provide an estimate cost, with no hidden charges or additional fees. As a local team of electricians, we see to it that our service is affordable for families and budget friendly for businesses. Keeping your electric system in good condition does not need to be expensive with PBN Electrical.